For relatively level ground: A raft base is the ideal solution for those on a budget - only available with Teleshed orders or DIY. For Sloping ground: A raised heavy duty timber base would be the most cost effective (base dimenstions provided for DIY - Addison Ousebank do not offer this service). For Long Term relatively flat solid ground: It is recommended to have concrete paving slabs bedded onto a sand and cement mix or concrete pour base. Things to think about when ordering your garden building. What type of base do I need for my garden building? Do I want heat, light and power in my building? Do I need any plumbing for water etc? What ventilation will I need? 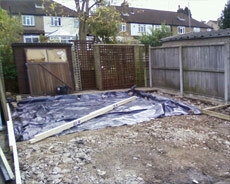 Timber bases laid onto level pad stones provide a stable base for your garden building. 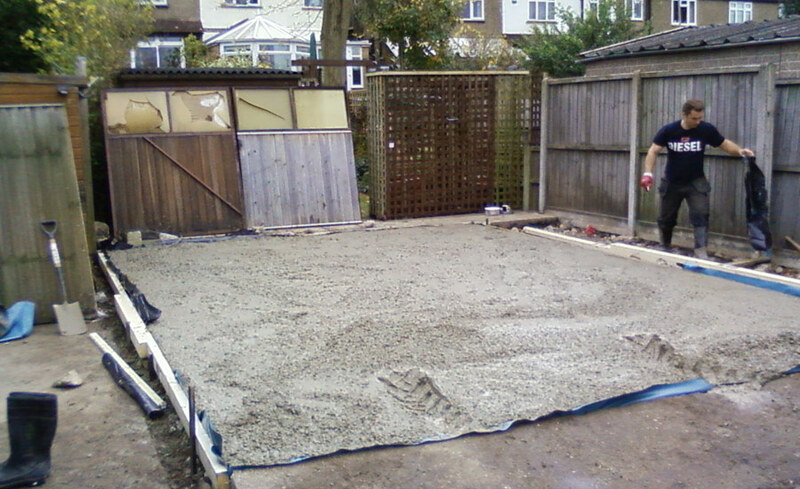 Pad stones are levelled and bedded onto a sand a cement mix. Only available with timber building Teleshed orders. All prices are shown on main price calculator for selected building sizes. Ideal for sloping and difficult ground conditions including old dormant tree stumps or other obsticles. This service is not available from Addison Ousebank but we can provide base dimensions for a local builder / carpenter or DIY. 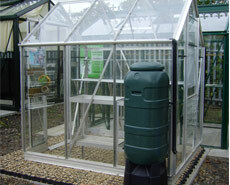 New product ideal for most small garden buildings and greenhouse bases. Extremely strong and filled with pea shingle or decorative stone. Keeps all water away from building and stops any splash back to low levels (preventing premature decay to timber). This base system is ideal for the smaller building or used within any size greenhouse – ideal for greenhouse walkway paths etc. 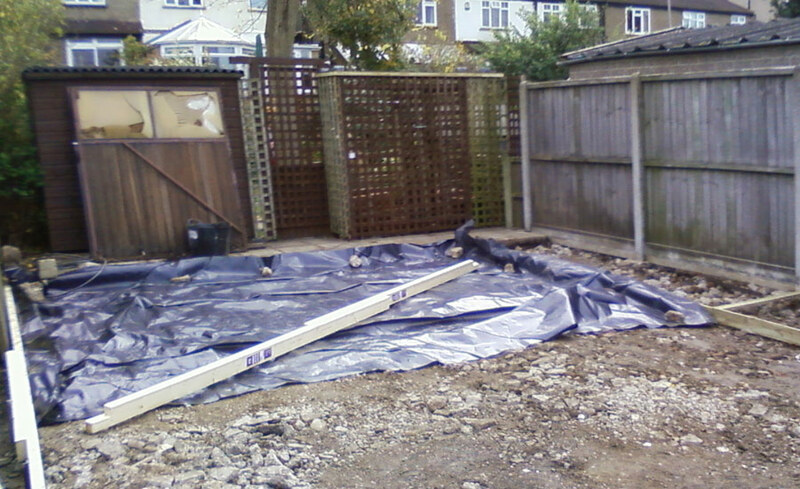 Ground is levelled and turf removed. 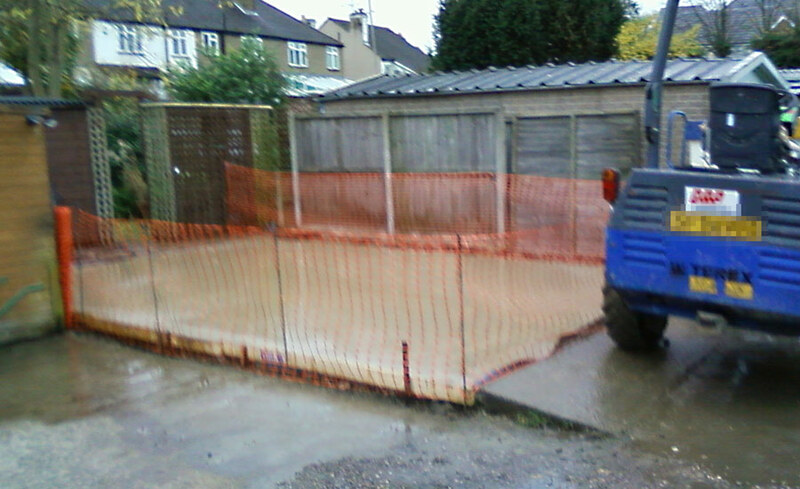 Concrete paving slabs are laid onto a sand and cement mix to fit your building (depending on building size). Long lasting, ideal for relatively level and solid ground. 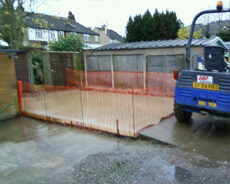 Not suitable for concrete sheds and workshops - only concrete pour base is suitable for these buildings. Ideal for long lasting and heavy duty bases. 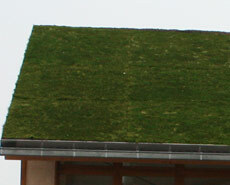 Ideal for taking very heavy buildings such as concrete sectional sheds and workshops or very large log cabin buildings. Ideal for incorporating services and underground pipe-work. 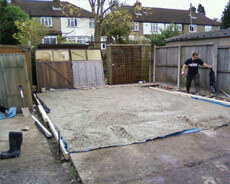 All concrete sectional sheds/workshops must have a concrete pour base to take the weight of the very heavy panels (90kg approx). Prices can be found on main garage centre website - selected areas only. If you require your building to have services such as plumbing and heating please let us know and we can provide a free quote for any services you may need. We can work out what type of base you would need to incorporate these services and work out connection routes to your existing drains and soakaways etc. (Local area only - 30 mile radius of Bedford). 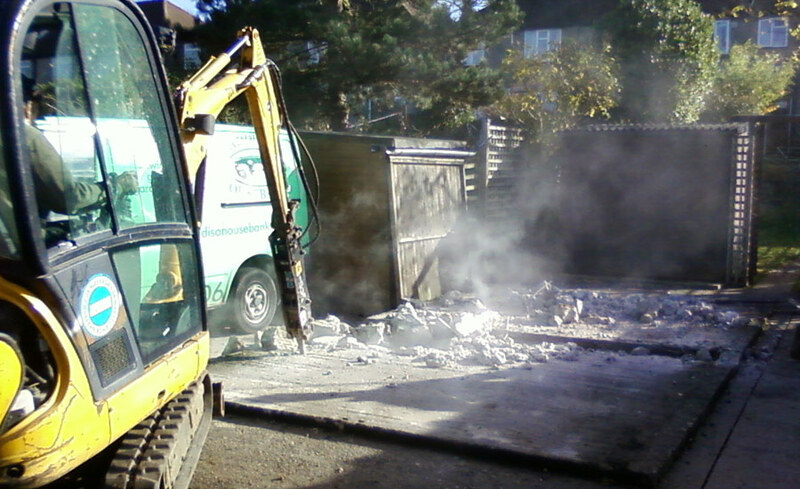 As part of our service we can price to remove (local area only - 15 Mile radius of Bedford) most existing garden sheds, summerhouses, greenhouses or garages. To give a guide of the removal costs - find a similar building and size on the pricing calculator the cost normally works out around 15% of the new similar building cost. If you have a log cabin or large building (we can quote this for you) please feel free to email any photographs you may have to speed up our quotation process. Our supplier Telesheds also provide this service too - all prices will be shown on the Teleshed product calculator. If you want to use your garden building all year around you will need to consider heat, light and power. 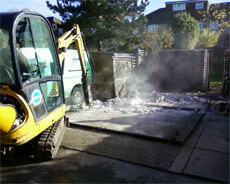 This can be done after your building has been installed. All electrics can be run 'surface' or if you want the electrics recessed into the wall cavity (not log cabins) this has to be considered at the point of order or before installation. Please let us know what options you are thinking of before you place your building order.